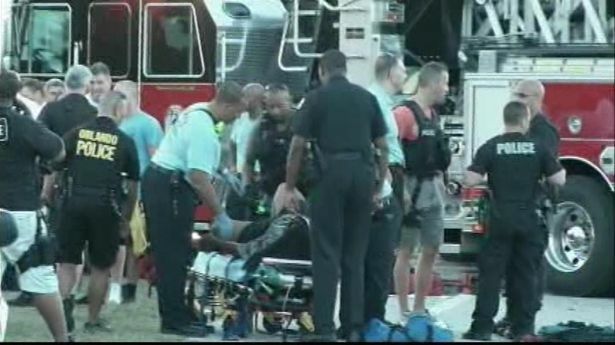 ORLANDO, Fla. — Orlando police have identified the two suspects that are believed to have shot and killed a homeless man this week, who was known in the community for walking the streets with a Bible in his hand. Jason Carr, Jr. and Frank Whack, 18, had been facing arrest on murder charges for shooting the street preacher and were about to be apprehended on a warrant when they sped away from police, lost control of the vehicle and landed upside down in a drainage canal. Police found a number of passengers inside, all of whom were injured. Both suspects died of their injuries, along with one of the females that was in the vehicle, who was also 18 years of age. Two other teens remain hospitalized: one listed in serious condition, and the other critical. None of the passengers were wearing their seatbelts. Family members rushed to the scene and burst into tears upon viewing the crash site, as the vehicle was severely mangled. Three of the teens were placed in handcuffs before being loaded onto a stretcher and transported to the hospital. Reports state that one of the suspects, Jason Carr, Jr., had a history of criminal activity, and had been charged with armed burglary just this month. Police believe that Carr and Whack shot the homeless man in the commission of an attempted robbery. It is not known if the youth knew the man or if they were aware that he was homeless. Robert Lee Gibson, 42, was approached by the suspects at approximately 3 a.m. on Tuesday morning as he walked the streets of Orlando — something he did regularly, since he had no place to go. He was found lying on the sidewalk with a Bible by his side and was rushed to the hospital. Gibson died two hours later. He was, however, able to mutter something about someone in a black car. Retired Sgt. Major John Hawkins said that he was awakened by his wife to the commotion after their dogs started barking. “She woke me up and she said, ‘John there’s something going on outside … Some guys are arguing.’ When I got to the door I heard three gunshots,” Hawkins stated. Neighbor Mary Thomas said that Gibson was “persistent” about his Christian beliefs and would often try and talk to strangers in the Holden Heights community of the city. Police advised that one of the passengers in the vehicle was wanted on a separate murder-related incident. It is unknown if the suspect was one of the teens that died in the accident, or if he is among those hospitalized.